With the noise-protected Lokotrack Urban LT106, the required protection distance drops up to 60 percent from 75-82 ft. to 30-36 ft. (23-25 m to 9-11 m). Metso Lokotrack Urban series mobile crushing plant revolutionizes crushing in densely populated environments, such as city centers. The new solution simplifies crushing operations, incorporates significant noise protection and cuts dust emissions remarkably, minimizing the impact for people living and working around construction sites, according to the manufacturer. “We developed this new solution to make it possible to run crushing operations in the most heavily regulated urban environments. Obtaining environmental permits is very tough when crushing in densely populated areas. 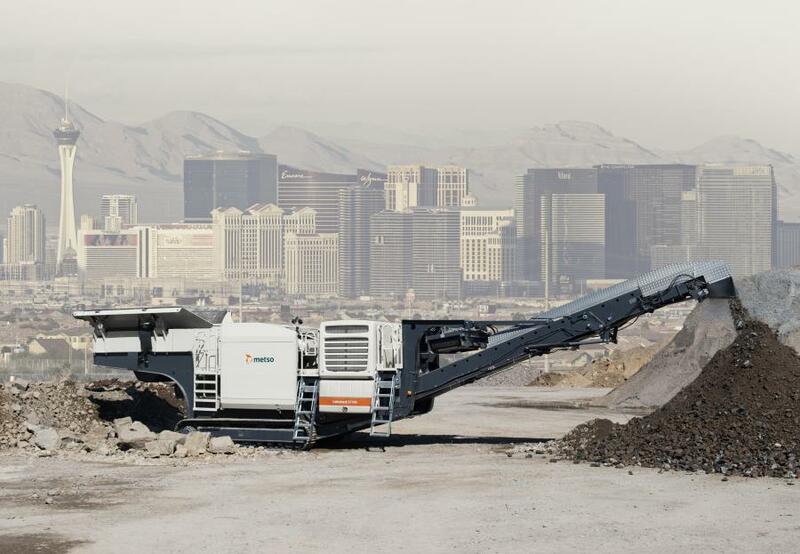 The new Lokotrack Urban series, however, provides robust crushing power while minimizing the impact for people and communities around the site,” said Jouni Hulttinen, product manager, Lokotrack mobile crushing plants, at Metso. Environmental permits usually regulate the noise level caused by the crushing operations. From occupational health and safety perspective, 85 decibels is the most common level defined that requires ear protection, although even much lower levels can be disturbing for people living or working around crushing sites. With the noise-protected Lokotrack Urban LT106, the required protection distance drops up to 60 percent from 75-82 ft. to 30-36 ft. (23-25 to 9-11 m). Outside this area, the sensory impact on the human ear can be even more significant. “The test results are impressive. Naturally, we need to keep in mind that process noise is also highly dependent on other equipment used on site. The new Urban series is first of its kind that adapts to all crushing operations and actively protects the health and safety of the plant personnel and civilians,” Hulttinen said. In addition to very low noise emissions, the Lokotrack Urban series includes an advanced dust suppression system. The dust is funneled to stay inside the mobile crushing plant and a high-pressure water spraying system absorbs most dust particles from the air. The environmental features integrated into the mobile plant do not require any special maintenance. The crushing plant also is very easy to move from one site to another, according to the manufacturer. To read more about the Lokotrack, see Urbanization Creates Challenges, Opportunities in Crushing Business.